First, it is important to determine with certainty if you are pregnant. Early symptoms of pregnancy include the cessation of your periods, nausea and/or vomiting, tender breasts, mood swings, tiredness, and/or a strange taste in your mouth. A variety of pregnancy tests are available that can detect the presence of the human chorionic gonadotropin (hCG) pregnancy hormone that appears after the fertilization of the egg. The longer you are pregnant, the easier it will be to detect this hormone in your body since it increases every day that you are pregnant. These tests are relatively inexpensive and typically cost between $1 to $15. If you find that you are pregnant, you have some challenging decisions to make that will affect you and those around you for the rest of your life. One of the first decisions you will need to make is whether you wish to parent your child, or create an adoption plan for your child. This isn't an easy decision, but there are some questions that you can ask yourself to help you sort through your thoughts and feelings. For example, if you decide to parent, what did you want for your future before the pregnancy? Will having a baby prevent you from achieving those goals? What will you have to change in your life, and is that okay? Will you be able to look after the baby yourself? Can you be responsible for this new life for the next 20 years? Will you want to continue your education with a baby to care for? Who will be in the life of the child....the father, grandparents? If the father is not involved, have you thought about life as a single parent? Will your family and friends support you? Can you afford a baby? Where will you live? Do you feel that this is the right choice for you? If you chose to create an adoption plan, which type of adoption do you prefer? Do you want the child to know who you are? Do you want to maintain contact with the adoptive family? Will you be able to give birth to this baby, and then relinquish parental rights? Do you feel that this is the right choice for you? 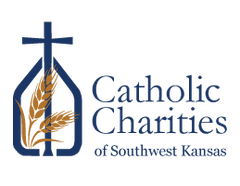 Our Catholic Charities professionals can provide some essential support for you by helping you to consider your options and get all the information you need about pregnancy, parenting and adoption. Our goal is to help you achieve clarity and confidence about a decision that is best for you and your baby. Our pregnancy support services are free. Creating a support network, and asking family and friends to help. Prenatal care for the health of you and your baby. What to expect during pregnancy, and the birth of your baby. Essential supplies for you and your baby. 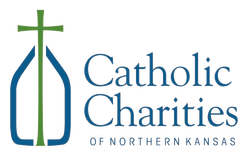 Programs that are available to help pregnant women with food assistance, housing, and medical costs associated with pre-natal care and the cost of delivery, drug and alcohol assessment and treatment. Domestic abuse protection, if necessary. Ways to continue with school and/or employment. Care and support throughout the process. A no-pressure environment where you are in charge of your decision. Education on what to expect throughout the adoption process. Profiles of families who have participated in our adoption education process, and who have been fully evaluated through background checks, home visits, interviews, and reference checks. Assistance in helping you determine the type of on-going relationship that you would like to have with the adoptive family. All of our families are well-educated on the value of open adoption and the needs of adopted children and birth families.